$465 for one day personalized course instruction. The date and time are negotiated to suit us both. Also you have the choice to combine with home study to enhance the one day of skill development. Email CSSM for more details or phone 0407645764 to discuss your options and what you want to achieve from your studies. 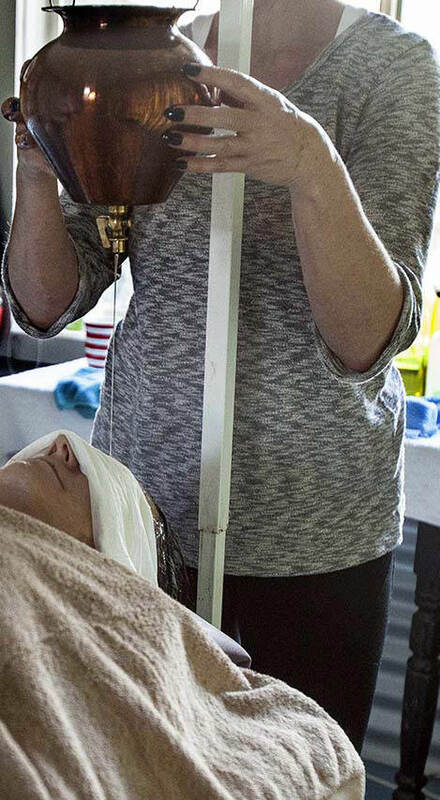 The day of the course will be instructional demonstrations and practice of techniques on other person and receive a treatment. A professionally produced video is available for purchase to students of shirodhara only on the day. A e manual is supplied with DVD for the marma point massage. It is a powerful addition to your shirodhara treatment. Course is approved for and entitles you for membership of Massage association and professional liability insurance. To enroll in this course or for further information please send Kaye an email. At the moment I have no equipment for sale recommendations below . For brass pots and wooden stands and Ayurveda oils Contact Siby in Melbourne.